“I never had to study in high school”. “My high school did not prepare me for college-level work”. These are two of the most common phrases I hear from the students I work with on a regular basis. As a College Liaison, I work with students who are referred to the Student Success Center for any number of reasons. My role is to then reach out to the student, discuss the referral, and create a plan to get back on track. Most often, referrals come after an exam has been given. Other referrals can be related to absences, classroom behaviors and concerns, and if a student is considering changing their major or transferring to another institution. When I meet with a student to discuss a referral, it is imperative that I help them understand that the referral is not a punishment or consequence; rather, it is an opportunity to address a concern and help the student get back on track before it becomes a larger issue. Faculty at Misericordia University are invested in their students’ success—they want to see their students excel in and out of the classroom. As a College Liaison, I help support the faculty and the student. student due to a referral, I like to hear the student’s thought process and approach. For instance, when I am meeting with a student for a referral due to a low test score, I ask the student to tell me how they prepared for the exam. It is often at this point where I not only learn about their study habits but also about them as a person. I hear how students are balancing part-time jobs while they are in school. I learn about students’ situations where they may be the care taker for a parent, sibling, or grandparent. Our college students juggle a lot beyond their academic responsibilities. It is easy to see how academics can be affected by personal circumstances and situations. In order to best support the student, I make referrals to other offices and services that can help meet their needs and concerns. Helping a student get set up with tutoring, an academic coach, or a Peer Academic Leader (PAL), are the three most common resources to which I connect students. I also will help students make a counseling appointment with the Counseling and Psychological Services (CAPS) Center, connect with their financial aid counselor, or even the Insalaco Center for Career Development for assistance in exploring career options and completing career inventories. Hopefully, after meeting with a student that has been referred, they leave my office with the tools and referrals they need to improve their academic performance in their classes. I am always willing to meet with a student again in the future to explore additional study strategies, serve as a sounding board, and, perhaps most importantly, provide them with the encouragement and belief that they can be successful. Study strategies are not a “one size fits all” approach. Some students will need to practice various methods until they figure out what works best for them, their courses, and their learning style. I am available to meet with the student as many times as necessary until they feel confident using and applying various strategies. I truly enjoy working with each student as their needs and circumstances are as individual as they are. When I see a student who may have struggled with a course or concept start to excel, it reminds me why I love my job and how fortunate I am to be part of a team that supports students’ holistically. 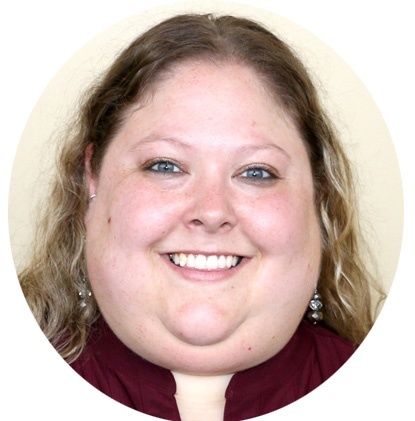 Megan Hurley has been working as a College Liaison in the Student Success Center since April 2012 and holds Master’s degrees in Counseling and College Student Personnel from Shippensburg University and Organizational Management from Misericordia University. Megan co-coordinates MU’s Sexual Assault Response Team (SART), facilitates Promoting Awareness of the College Transition (PACT) sessions with first-year students each fall, and is a steering committee member for Pride Alliance. Megan enjoys spending time with her family and friends, organizing her monthly book club, local trivia nights, and live music. 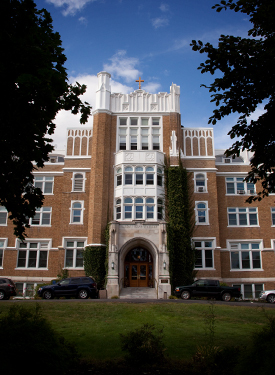 Misericordia University provides individualized support and attention to students so that they can thrive in their academic and professional careers. As a result, students have the confidence and the tools they need to be successful. Schedule a personal visit or come to an Open House to experience an environment where all are welcome.